Zara was asked by Boards editor Adrian Jones and his clones to try her Luderitz world record kit set up. Oh... My... God! This board feels fast! Scary fast !" 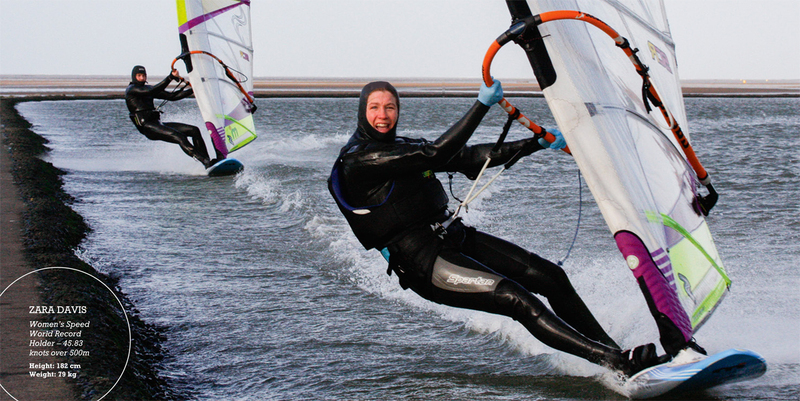 at West Kirby and the Boards and sails me and Farrell use from Simmer and Mistral. Its in the newsagents now, well worth a read."